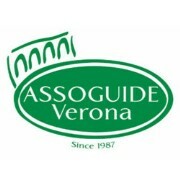 A STROLL THROUGH ART AND TASTE The history of Verona through its traditional dishes Guided tour in the historical city centre to find out the traditional tastes of Verona and their stories. Do you know the origin of the "pearà" and of the "pastisada"? Where was the "pandoro " born ? What does " goto " mean? This itinerary will make you discover tales, anectodes, legends regarding the typical products and dishes of Verona as well as the places where they were born. During the tour you may have a wine or a local product tasting. Our tour takes us along Corso Porta Borsari to Piazza Erbe and Piazza dei Signori. We continue to Via Sottoriva, a charming historical street where are many "osterie" and, then, to the river bank.